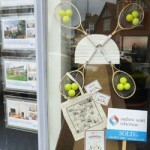 For many people moving to London, this will be your first time living away from home. If you’re on a budget – go for the supermarket branded items, generally they are cheaper. Also, look for the reduced goods in the refrigerated and bakery aisles. 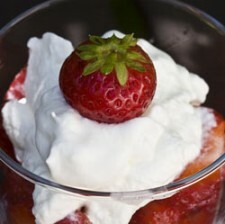 Food hygiene… try not to poison yourself, or others! housemates – you might need to contact them if you lose your keys! Have a joint agreement for buying toilet rolls, washing up liquid etc – maybe have a kitty for shared items? Don’t get caught out – you now have to pay for a TV licence if you watch or record live TV programmes on any channel and download or watch any BBC programmes on iPlayer – live, catch up or on demand. This applies to TVs, laptops, phones etc. 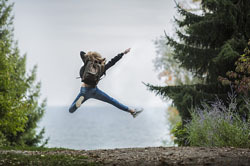 This pack is designed to help you start your exciting new life in London, equipped with information and links to make things easier for you and saves you hours of searching for relevant websites and documents. 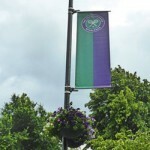 The pack includes: accommodation, work, studying, finance, healthcare, travel in London, leisure, shopping and helpful tips. It may be chilly outside but there are plenty of things to keep you entertained this winter in London. Celebrate Chinese New Year, the Year of the Rooster, on Sunday 29 January. 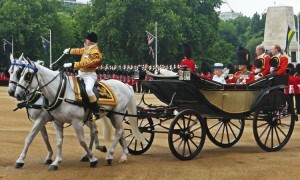 Watch the parade pass through the streets of the West End and performances on the stage in Trafalgar Square. 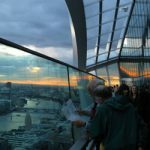 Spend Valentine’s Day with your loved one in London – watch the sunset from the Sky Garden 155 metres above the city, catch a theatre show in the West End or enjoy a romantic meal at any one of London’s international restaurants. 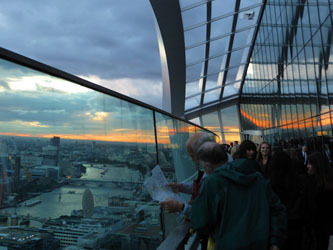 Visit the vast array of museums across the capital. There is pretty much a museum for anything, ranging from dinosaurs at the Natural History Museum to toys at the V&A Museum of Childhood and buses at the London Transport Museum to the Crown Jewels at the Tower of London. Exhibitions this winter include – the Fourth Plinth shortlist at the National Gallery, Lockwood Kipling: Arts and Crafts in the Punjab and London at the V&A, Wildlife Photographer of the Year at the Natural History Museum and Robots at the Science Museum. 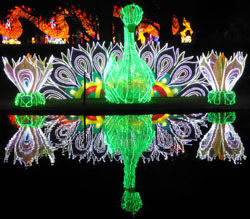 Brighten up the dark winter evenings by visiting one of the light festivals taking place this winter in London. 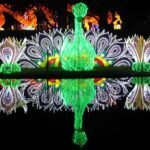 These include a free light festival in Canary Wharf, with 30 light installations and interactive art throughout the wharf, and the Magical Lantern Festival at Chiswick House. You’re never far away from places to eat and drink. 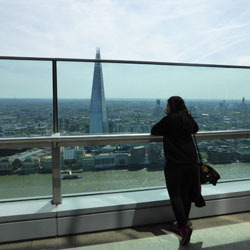 Sit back and relax somewhere with a great view, for example, the restaurant on level 6 at the Tate Modern or one of the many pubs and eateries along the River Thames. 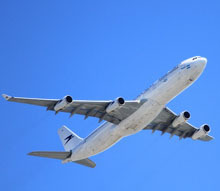 If you are looking to take yourself off to a warmer climate, a new adventure, or just to dream, there are many travel shows taking place during January and February, including the Destinations Show. Meet tour operators, listen to talks from famous travellers, get inspired. Make sure you have comfy shoes for walking as London transport is not running on Christmas day. 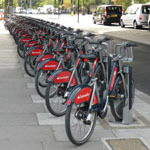 Some taxis will be in service or make the most of the quieter roads and hire a Santander Cycle. 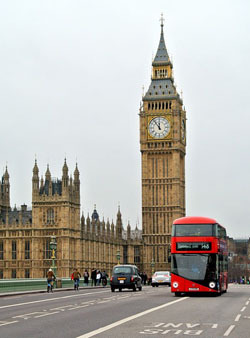 Golden Tours offer a One Day Hop on Hop off Bus Tour on Christmas Day. If you’re awake early, make your way to Hyde Park to watch the ‘brave’ swimmers cross the Serpentine in the Peter Pan Cup. The race starts at 9am. 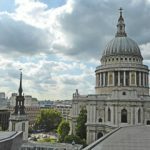 Church services will take place across the city, including St Paul’s Cathedral, St Martin-in-the Fields, Westminster Cathedral and Westminster Abbey. Most tourist attractions are closed on Christmas Day in London, but believe it or not, Ripley’s Believe It or Not in Piccadilly Circus is open Christmas Day! 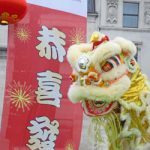 Eating out is likely to be expensive and many places that are open will require you to book ahead but Chinatown is a good place to head to as many restaurants will be open. 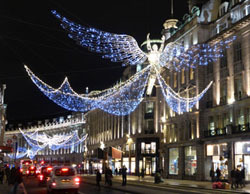 When it starts to get dark, check out the stunning Christmas lights around the city. The Odeon is opening a select number of cinemas on Christmas day, these include Covent Garden, Greenwich, Tottenham Court Road, Leicester Square and Wimbledon. If you don’t want to spend Christmas day on your own in London, why not go on a tour? 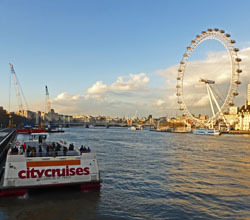 Some walking tours still run on Christmas day or take a cruise along the river with City Cruises. 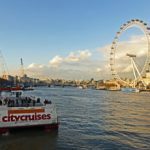 Golden Tours offer Christmas Day bus tours in London (some include a Christmas lunch) or you could go on a day tour out of the City to destinations such as Salisbury, Bath, Stonehenge or Oxford. 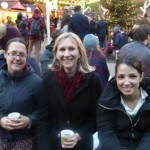 Check out meetup.com for any meet ups taking place on Christmas Day or Boxing Day. 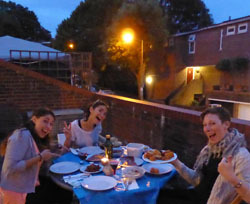 Or book your Christmas Day at the International Student House for a traditional Christmas dinner, Christmas movie marathon and a walk in Regent’s Park (deadline for bookings 2pm Friday 16 December). Maybe you have thought about helping others at Christmas? Whatever you do, we Wish You a Very Merry Christmas!! 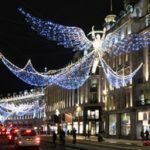 With the Christmas lights already shining brightly across London’s Oxford Street and many of the Christmas festivities having already started, there’s plenty to get you into the early festive London spirit. 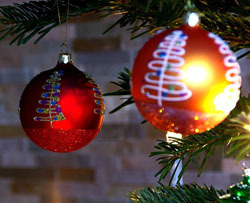 Get your Christmas presents and decorations under one roof at the Christmas Ideal Home Show. 23 – 27 November, Olympia. 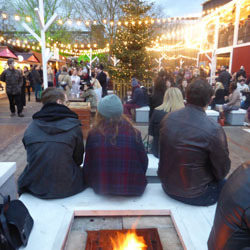 Book online (it’s only £5 to go after 5pm on Thursday 24 November) or visit one of the many Christmas Markets for some festive shopping and mulled wine. 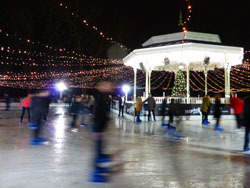 Wrap up warm and get your skates on at one of the many outdoor ice skating rinks across the city. 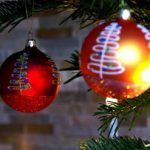 You’re spoilt for choice for entertainment this Christmas with a tantalising selection of Christmas shows and concerts for your enjoyment. A tradition spanning back centuries is the Christmas pantomime. The modern form of this theatre production is usually based on a children’s fairy tale with jokes and innuendos for children and adults, many starring TV personalities. Click here for a list of London pantomimes. 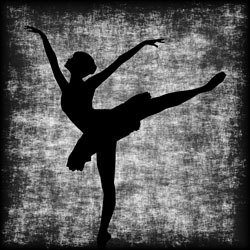 What could be more Christmassy than an evening at the ballet? The Nutcracker is being performed by the Royal Ballet at the Royal Opera House from 23 November to 12 January and the English National Ballet at the London Coliseum from 14 December to 7 January. 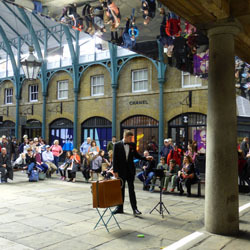 There are many Christmas concerts and carol singers across London during the festive season. London Transport ~ What’s New? Great news!! Travelling in London is becoming easier and cheaper. London transport is seeing significant improvements. This summer saw the start of the long awaited night tube. Running initially on the Central and Victoria lines the night tube runs throughout Friday and Saturday night – at off peak prices! 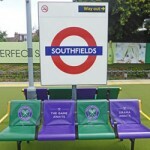 Providing a regular service throughout the night, trains run on average every 10 minutes across the whole Victoria line. 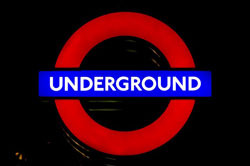 The Central line runs approximately every 10 minutes between White City and Leytonstone and every 20 minutes between Ealing Broadway to White City and Leytonstone to Loughton/Hainault. On 7 October this 24 hour service will be extended to the Jubilee line with trains running on average every 10 minutes across the entire line. The Northern and Piccadilly lines will follow this autumn (date to be confirmed) – perfect for those early arrivals into Heathrow airport! You will be able to get the tube straight from the airport into central London. On the Northern line, trains will run on average every 8 minutes between Morden and Camden Town and approximately every 15 minutes from Camden Town to High Barnet/Edgware. 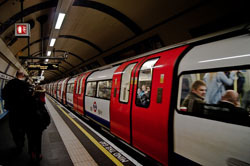 The Piccadilly line will see trains running approximately every 10 minutes between Cockfosters and Heathrow Terminal 5 (there will not be a service on the Terminal 4 loop, or between Acton Town and Uxbridge). 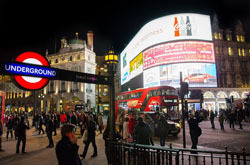 Night service tube fares are charged at off-peak prices. Your one-day travelcard is valid during the night until 04:29, this also applies to daily capping on your Oyster card and contactless payment cards. Another welcome addition to London’s transport is the arrival of the ‘Hopper’ fare for buses and trams starting Monday 12 September 2016. Each journey would have cost you £1.50 but if you change to a second bus/tram within an hour of touching in, you only pay for one journey, so you will be paying £1.50 instead of £3! There are a few conditions, you must touch in using the same pay as you go Oyster or contactless card for both journeys and you cannot use any other transport between changes. Click here for further details. Check out the tfl.gov.uk website for bus routes – not only is it a cheaper option (there is a £4.50 daily cap on buses when you pay as you go with an oyster or contactless card) but it’s also a great way to see the city! Don’t forget to order a BuddyLondon Arrival Pack – making arriving in London as easy as possible. The pack includes a pre-paid Oyster card to use on London transport – there’s no need to queue, just get straight on the tube. Today sees the start of the prestigious Wimbledon Championships 2016, taking place for the next two weeks in SW19. 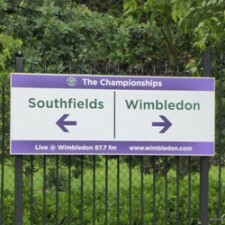 Steeped in history, the first Championships at The All England Club were held in 1877 in a location off Worple Road, Wimbledon. Church Road became their new home in 1922 and they have developed into the imposing courts they are today. 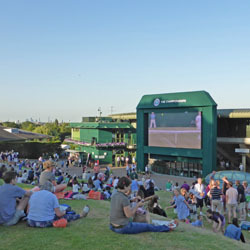 Famous for its grass courts, Royal patronage and of course strawberries and cream, the Championships take place for two weeks every year, from the last Monday in June. 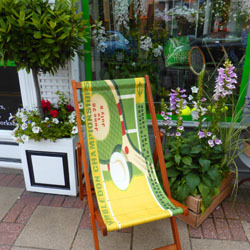 The tennis spirit is apparent both inside and outside the courts, with flags flying, decorated shop fronts in Wimbledon Village and a mock grass court laid out at Southfields tube station. There are plenty of places to get refreshments in Wimbledon and Southfields, whether you’re looking for something to take-away or prefer to eat in and enjoy the atmosphere. The closest tube station is Southfields (District line) but the courts are also walking distance from Wimbledon train and tube station, or you can catch a bus. There are four ways to obtain tickets for the Wimbledon Championships: The Ballot; The Queue; Ticketmaster; and Official hospitality packages. 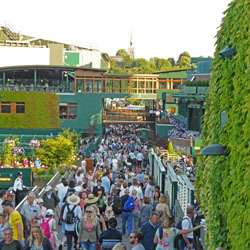 As the Ballot has already closed for 2016, your options are to try to get online tickets the day before a match through Ticketmaster or to join The Queue. There are three options for The Queue: camp overnight; arrive early in the morning (around 5-6am); or queue after 5pm (tickets are slightly cheaper after this time). 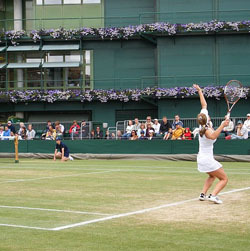 There are a limited number of tickets available for Centre Court, No.1 Court and No.2 Court (except for the last four days on Centre Court where the tickets are sold in advance) and several thousand Grounds Passes which allow unreserved seating and standing room areas on Courts No.3-19 or if they are full you can soak up the atmosphere at the large screen on ‘Henman Hill’ / ‘Murray Mound’. Please note, tickets can only be purchased with cash, they do not accept credit cards. See www.wimbledon.com for further information and ticket details. Security checks take place before you go in. 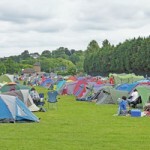 There is a list of things you can’t take in with you that is worth a read, click here. 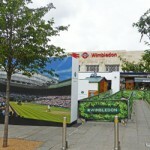 Alternatively, why not watch the tennis from one of the large screens across the city, follow this link for some ideas. One day, three very different gardens. 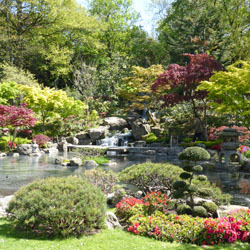 The day started in Holland Park with its fabulous cherry blossom trees. 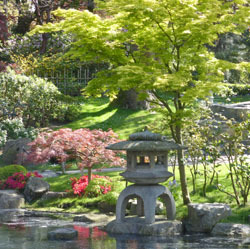 Hidden away in the park is the picturesque Kyoto Garden, a Japanese garden donated by the Chamber of Commerce of Kyoto in 1991. 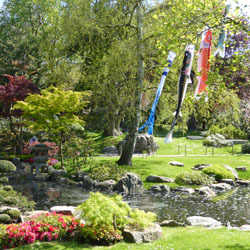 Spring is a great time to visit when everything is in full bloom. 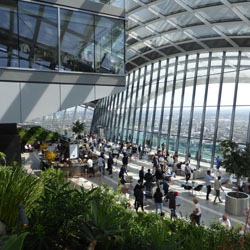 Then onto the Sky Garden (20 Fenchurch Street, also known as the ‘Walkie Talkie’) to queue for the ‘walk up’ tickets. It’s free to go inside. You can book in advance via their website or queue up on weekdays between 10am – 11.30am, 2pm and 4.30pm. Remember to take ID with you. 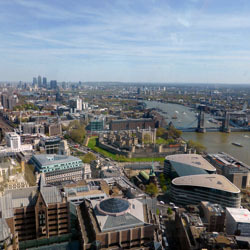 A lift takes you to the 35th floor with fantastic views over the city, capturing many of London’s famous landmarks including Tower Bridge, The Shard, the Tower of London, Canary Wharf, the London Eye and St Paul’s Cathedral. 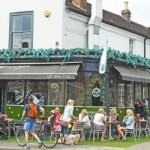 Inside are several eateries and a garden with a series of terraces, each planted in a different theme. 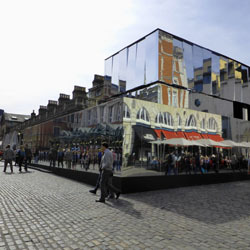 A fitting end to the day was a leisurely wander around Covent Garden, gleaming in the sunshine with its latest installation – mirrored walls! 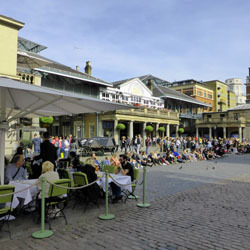 Originally a fruit and vegetable market, it is now a must see attraction in London for its market stalls, shops and street entertainers. A great place to people watch whilst having a glass of wine or coffee. 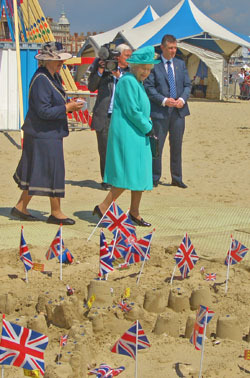 Happy Birthday to Queen Elizabeth. 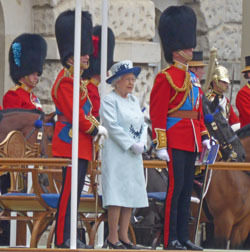 Our longest reigning monarch turns 90 today. When she was born in 1926, Princess Elizabeth was not expecting to be the Queen. It wasn’t until December 1936, when her uncle King Edward VIII abdicated, that her father became King George VI and she became next in line to the throne. The Crown Jewels, which are only worn at coronations and the annual State Opening of Parliament can be found in the Tower of London. For other formal occasions the Queen wears the jewellery from her private collection. As of 1 April 2016, the National Living Wage was set at £7.20. This means anyone aged 25 or over is legally entitled to at least £7.20 an hour from 1 April.